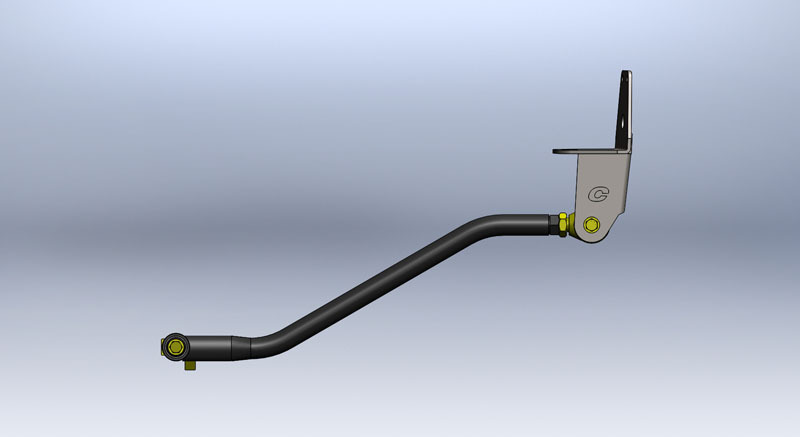 Our XJ adjustable track bar gives you the strength and adjustability your lifted Jeep needs. 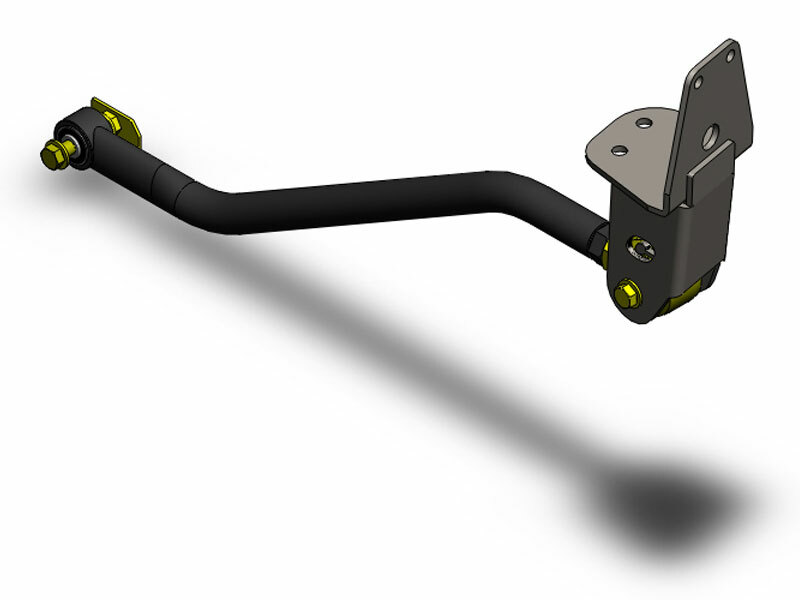 A greaseable flex joint is used at the frame end, and a maintenance free high quality HD Clevite mechanically bonded bushing is pressed into a CNC machined housing on the axle end. What is different about this track bar is the lower bushing. 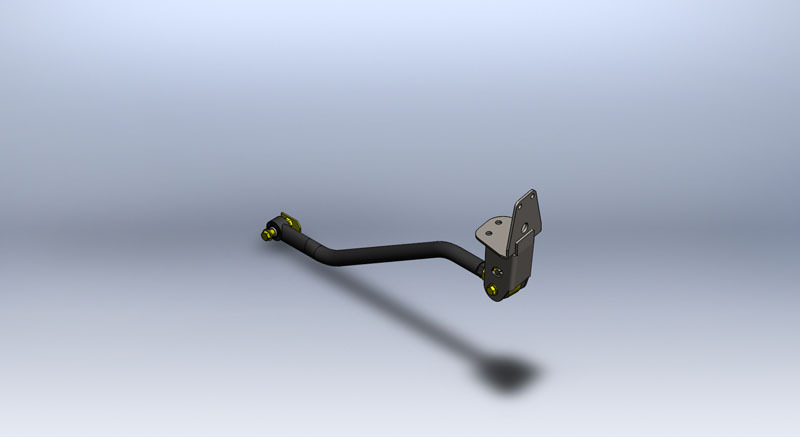 This new bracket keeps the OEM track bar height but puts our heavy duty track bar in double sheer.This allows you to run a stock pitman arm with 3-6inches of lift.The bracket bolts into the OEM location, and we recommend adding a few small welds for added strength.The bracket is designed to accept a 2.5 inch forged johnny joint using a 9/16s grade 8 bolt. Inside bracket width is 2 5/8s.